Super Savings! 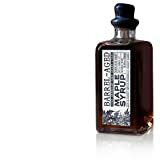 Up to 37% off on Maple Syrup at Miss Patisse. 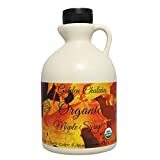 Top brands include Blackburn, Bushwick Kitchen, NOW Foods, Steen, Stonewall Kitchen, Coombs Family Farms, Golden Chateau, IHop, Ferguson Farm, Georgia Mountain Maples of Vermont, Torani, Taste the Wilderness, Log Cabin, WOODINVILLE, Shady Maple Farms, Maple Pantry, Joseph's, & Roxbury Mountain Maple. Hurry! Limited time offers. Offers valid only while supplies last. 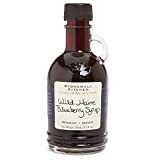 Stonewall Kitchen Wild Maine Blueberry Syrup 8.5 fl oz. Ihop At Home Butter Pecan Flavored Syrup, 24 Oz. 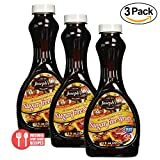 Value 3 Pack: Joseph's Sugar Free Maple Syrup, 12 oz.